The Mets acquired Davis along side with shortstop Cody Bohanek on January 6th from the Houston Astros for infielder Luis Santana, outfielder Ross Adolph, and catcher Scott Manea. While the Astros have been high on Davis during his tenure in the organization, they merely just didn’t have the room for him on the Major League roster. The Elk Grove, CA native was drafted out of HighSchool by the Tampa Bay Rays in the fifth round of the 2011 MLB June Amateur draft, however, he didn’t sign but instead he honed his skills while playing for Cal Fullerton and was later drafted in the third round of the 2014 draft by the Houston Astros. Davis cracked the Houston Astros top 20 prospect list prior to the 2017 season, here is a scouting report provided by MinorLeagueBall.com in which he was labeled as one of the young players to watch. 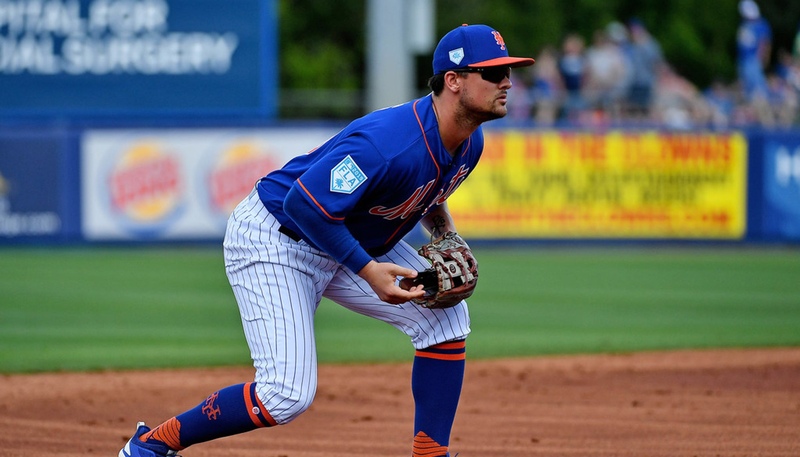 The Mets plan to take advantage of Davis’ versatility while a couple of the corner infielders (Jed Lowrie & Todd Frazier) are down and out with minor injuries, for the time being. I think it would be wise for the Orange & Blue to hold onto Davis as he seems like a viable back up option to the corners of both the infield as well as the outfield. If his scouting report holds to be true, Davis will emerge as a deadly bat off of the Mets bench with the potential to take over third base if the Jed Lowrie acquisition doesn’t pan out. It’ll be a good season if J.D. Davis could walk away with 250-300 AB’s, but it’s going to take a lot of moving parts to have that come into fruition.